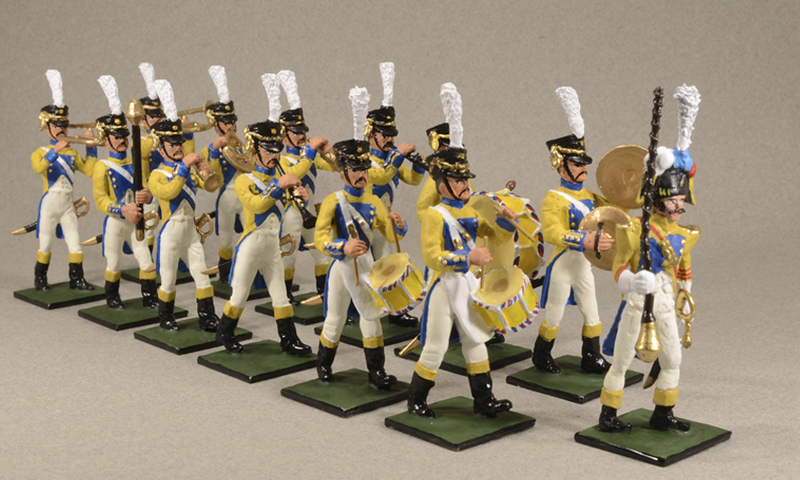 1800, French Grenadiers military band. Band of thirteen military musicians; a drum major, one bass drum, one cymbal, two trombones, one bassoon, one French horn, two clarinets, two trumpets and two drums. 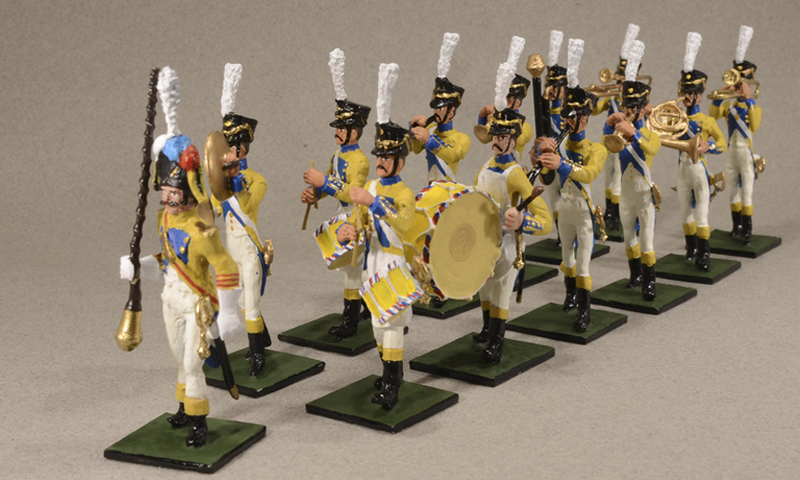 54 mm white metal figure set, assembled with tin welding; some figures may have small pieces of brass or copper. Hand-painted toy soldier with glossy finishment, matt finishment by request. Not contractual photography to being a craftsman product. Hand made produced and painted in Spain.